While camping, I strive to find sites that are far away from society which often means camping without refrigeration. However, this doesn’t have to take away the glam from my camping adventure. Like I always say with car camping, just because I am outside doesn’t mean I have to sacrifice style or taste. I am certainly not a professional chef, but I love to cook. At home, I pride myself on creating exquisite and unique meals regardless of my budget. I’ve always joked with my fiancé Robb that the reason we pay extra for TV streaming or cable is so I can continue to be inspired to create great new meals. Our taste buds agree. Now that it’s camping season, I love to take the challenges of the outdoors to create innovative recipes that can’t be beat. 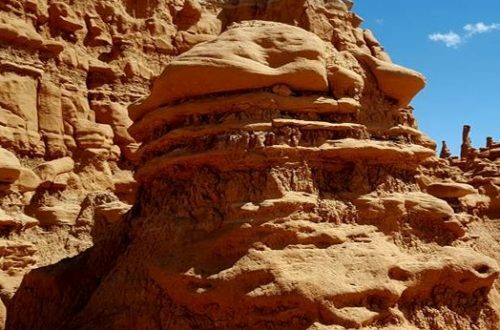 For my next trip, I am planning to head out to the deserts of southern Utah. 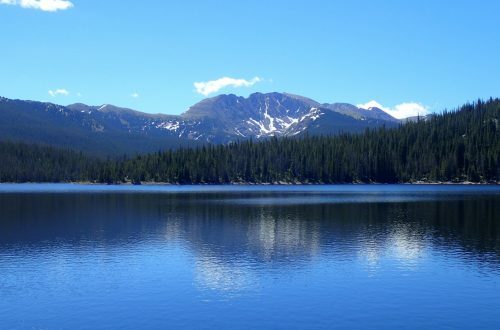 The location is miles and miles away from the next city, which may be awesome to avoid crowds for a holiday weekend but difficult to keep food cold. One year, I had the honor to borrow my coworker’s amazing cooler. This bad boy kept one bag of ice frozen the entire trip! Unfortunately, I had to give it back and while it’s on my wedding registry, I haven’t been able to afford buying it myself. If you can afford it, forgo any refrigeration problems and get it here. But, as the title mentions, this is about eating well while camping without refrigeration. I’m going to show you how I cook tasty meals while camping even if I run out of ice. When it comes to no refrigeration meals, there a few secrets that I like to use. First, I feel like people always forget about the veggies when camping without refrigeration. Why? There is absolutely no reason not to bring these. Think about tomatoes. They aren’t supposed to be in the fridge anyways and add a ton of flavor to dishes. Eating only canned food can get unhealthy and well….. bland. Even just adding a small amount of vegetables can really oomph up your meals. In addition to flavor, the great boost of vitamins and nutrient in veggies and fruit make them something that should not be missed on your next camping trip. Speaking of canned food, when using them, opt for the high quality items. I know it may be a dollar or so more, but it’s so worth it. I’ve had the better canned tuna. It’s so much better. Look for natural and organic varieties. I usually eat higher quality meats anyways so there is no reason to change that while going with canned goods, especially when striving for gourmet. When it comes to cheese, it isn’t necessary on any of my dishes, but it can add a bit of a boost. I often bring hard and aged cheeses with my while camping since they can keep a lot longer without refrigeration. I opt for aged Cheddar, Gouda, and Parmesan. 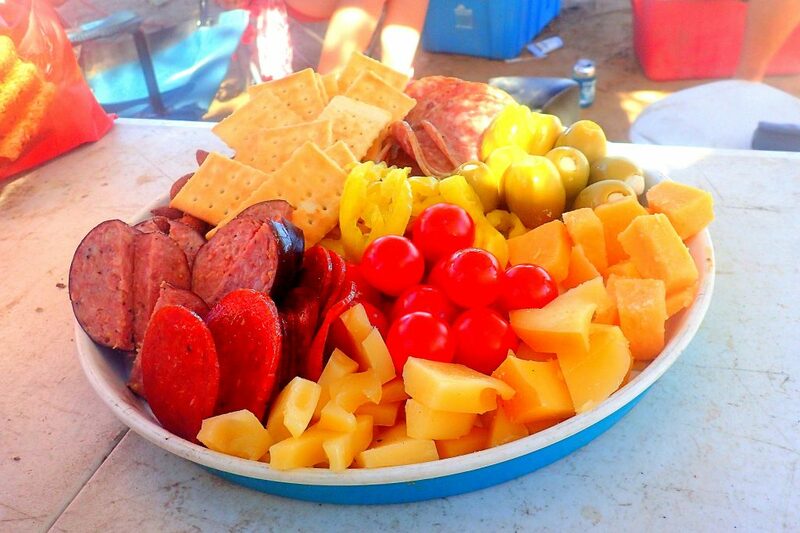 As an added bonus, you can make a delicious cheese platter like this one when you do bring the cheese. Not going to lie, I had just as much fun making this bad boy as I did eating it. If it makes you a bit squeamish to leave these cheeses out, that’s ok. Like I said, none of my meals need cheese. Another great way to add flavor without refrigeration is using those little single use packets of condiments that don’t need refrigeration. Robb is a nurse, so I always ask him to grab a few packets from the cafeteria before a trip. You can even grab a couple at the gas station or a fast food joint when heading out. These work fine for a few days on a camping trip, but you do want to replace them each time you go. We once found a couple packets in the bottom of our camping box the next year and it was puffy. Don’t eat puffy. It’s bad. The biggest thing with cooking in general is to have the right spices. When cooking at home, I like my food with a lot of flavor. That doesn’t have to stop outside. You can easily turn a couple veggies into a gourmet dish when adding the right spices. I keep a bunch of spices in my camping box. I simply bought a bunch of cheap bottles that stays in the box, but you can always use the ones from home and pack small serving sizes of spices in a pill organizer. There is no reason to miss spices. Next, always remember that fat equals flavor. At home, I like to cook meals with healthy fats. While camping without refrigeration, I still try to follow those same principles. While I may not be able to cook a beautifully marbled steak, I can easily add delicious fats while cooking. Hello olive oil and avocados! Neither of these things need to be refrigerated and they can really add flavor. After my trip to Spain, I’ve become obsessed with olive oil. No longer do you have to be subjected to a dry sandwich. It’s the best. As a millennial from Los Angeles, avocados are life. They are healthy, creamy, and make any meal gourmet. Plus, they are great substitutes for mayo if you can’t find those little single use packets or they went bad. Lastly, when it comes to meat, I use sausages, salamis and other cured meats that don’t need refrigeration. Think summer sausage, pepperoni, salami, and pre-cooked bacon. You can get these as gourmet as you want. Boars Head has really great options available at many grocery stores. I’m one of those ladies that could always go for a great meat and cheese board. After visiting Italy and Spain, my obsession with dried cured salamis had only increased. Luckily, these keep really well without much refrigeration so it’s perfect for camping. There’s the secrets I like to use when coming up with my meals while camping without refrigeration. 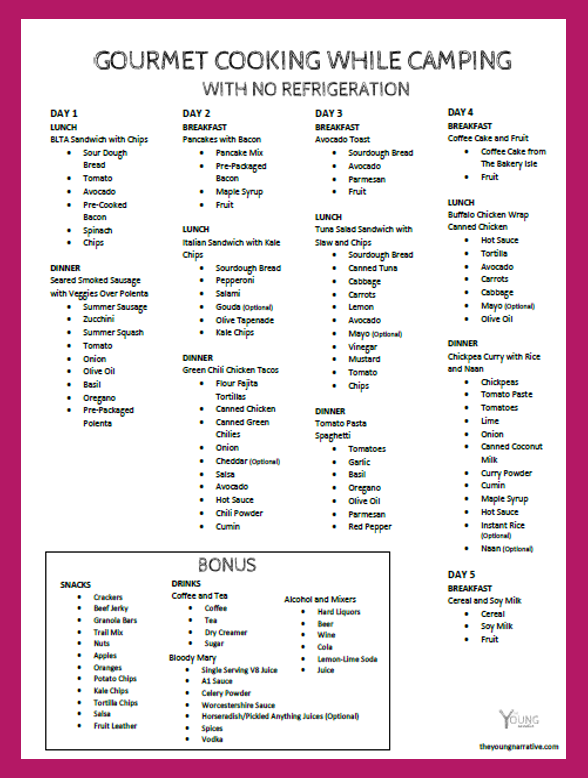 Now, check out the menu that I came up with for a four day trip. Given that it takes time to get to a campsite far away from a city, I’m going to skip breakfast and just get it on the way. On this morning, you should be heading out. Here is a quick breakfast to fuel you before you pack up. I opted for soy milk because it don’t need to be refrigerated until opened. Grab a small box for your morning. 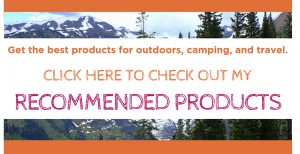 Here are a few extra things you can bring on your next camping trip. Obviously, this is optional but depending on the trip, I may bring all or none of these. Now you will notice that I didn’t add any deserts. This is because I usually just do S’mores and make them more gourmet by changing up the chocolate. I like Reeses or Cookies and Cream, but you can always use your favorite candy. You can even add strawberries. I don’t have much of a sweet tooth so that’s about as funky as I get when it comes to deserts. 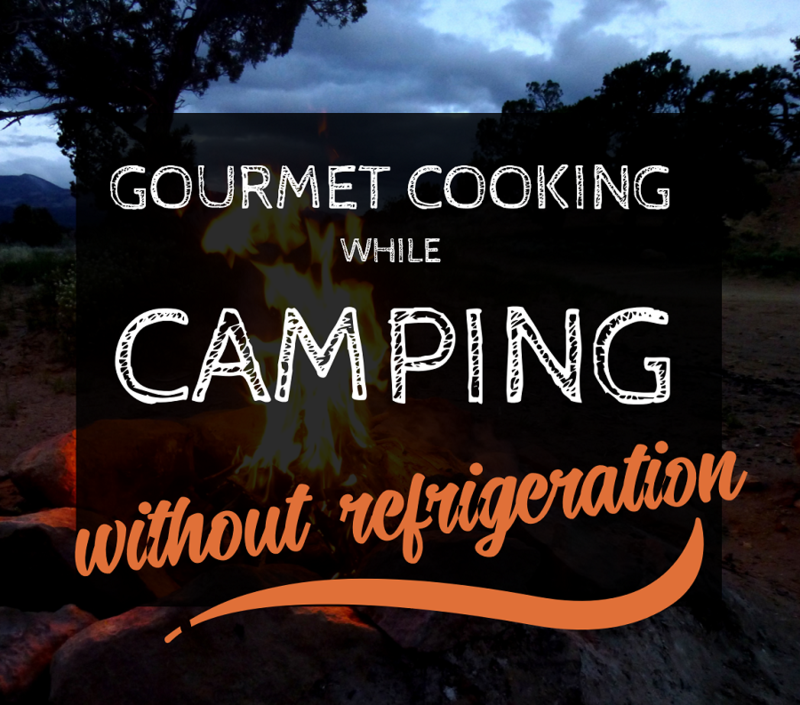 Click here for a printable version of my cooking while camping without refrigeration menu. Well, there you have it! I hope that my guide to cooking while camping without refrigeration. 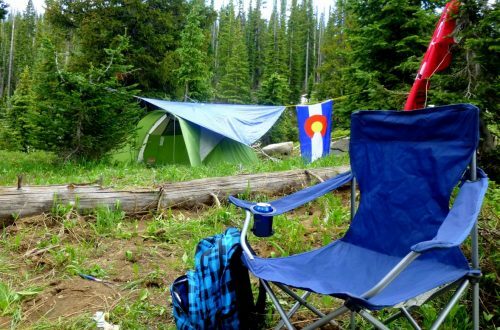 Are your going on a camping trip any time soon? What are your favorite meals you like to make while camping? Share your secrets below! Honestly, I just like to go camping a lot and have always eaten really well while doing so. One of my biggest trips is a 5 day Moab adventure about an hour away from the town and the last thing I want to do is venture back into civilization if I don’t have to. Unfortunately, my budget doesn’t afford purchasing a high quality cooler so ice does not stay cold more than a day or so. This is why I came up with this food list to make foods that I have personally made while camping. I’m the kind of lady that likes to camp in style but without an RV so I use creative ways to make my sites and meals more glamorous. I hope some of my tips help you as they have helped me.